Be sure to purchase your tickets to help support our dancers. ADC ARTS CORP is a 501(c)3 and organized as a non-profit corporation under the Commonwealth of Massachusetts. From Preschool to pre-professional, Artistic Dance Conservatory has classes for you. ​just across from the Pizza Shoppe. Our phone number is 413.525.8810 and our email address is info@dancewithadc.com . 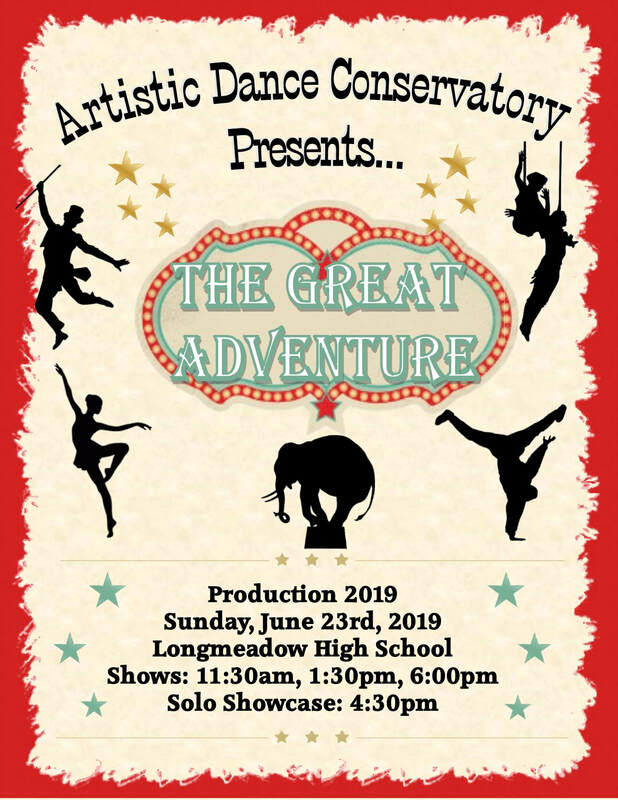 The Conservatory instructs students of all ages and skill levels in ballet, pointe, modern, contemporary, jazz, tap, acrobatics, musical theater, street jazz, and hip-hop style dance, in a state-of-the-art facility in East Longmeadow Massachusetts. Students may choose a pre-professional, competitive, or recreational course of study. Enrollment is open year-round, which allows students to register at any point during the year. 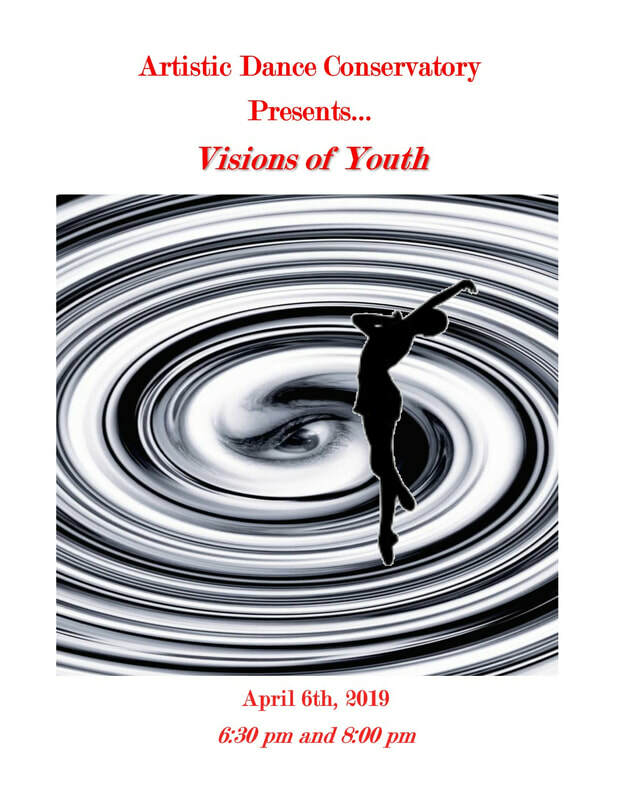 The school is home of the Artistic Dance Conservatory Youth Ensemble, a non-profit dance troupe that focuses on enhancing the availability of dance in our local communities. The group was recently recognized for their performance of Charlotte's Web at several local schools and organizations in the community. Additionally, the Conservatory is the home of the Eclipse Dance Company, a professional contemporary dance company. Eclipse and the ADC Ensemble are under the umbrella of ADC ARTS CORP, a 501(c)3 non-profit corporation organized in the Commonwealth of Massachusetts. To give our students not only a dance education, but to nurture the values and self-esteem that dancers develop. To inspire our students to make a commitment to their dance education by always striving to do their best; by being respectful of conservatory and dance training etiquette; by developing and demonstrating an appreciation for their art; and, ultimately, by seeking out collegiate or career opportunities within the dance education or performance fields if they choose. To guide parents and instructors in instilling a belief system in the students that promotes positive attitudes and a strong work ethic that leads to the setting and achieving of goals - qualities that have the potential to extend beyond their dance training into other aspects of their personal and professional lives. To inspire students, dance company members and instructors to reach out to our local communities by sharing their vision of dance through the art of movement. To consider the needs of our local communities by providing financially accessible and high-quality dance education. To share our love and knowledge of dance with everyone in our community. When choosing a dance education, you're shaping the future of your children. Here are what some of our Alumni are doing today. Michael Konderwicz (2006) is currently living in New York City working with the Walt Disney Company International on board the Disney Fantasy. He was non-stop traveling around the world working as the Swing and Dance Captain for the newest ship in the fleet and is back and forth to help out with new casts on board. Before Disney, he was dancing with Synthesis Dance Company in Manhattan under the direction of Tracie Stanfield. Jonathan Doherty resides in New York City after graduating from the University of the Arts (class of 2015) under the direction of Donna Faye Burchfield. He has had the pleasure of working with artists such as Jesse Zaritt, Katie Swords-Thurman, Tommie Waheed-Evans, Netta Yerushalmy, Douglas Becker, and was a part of the original cast of Twyla Tharp’s “TreeFrog in StoneHenge” (2013) as a featured soloist. Since moving to New York, Jonathan has shown and been apart of work shown in venues such as The Tank, JACK, The New York City Transit Museum and Triskelion Arts. 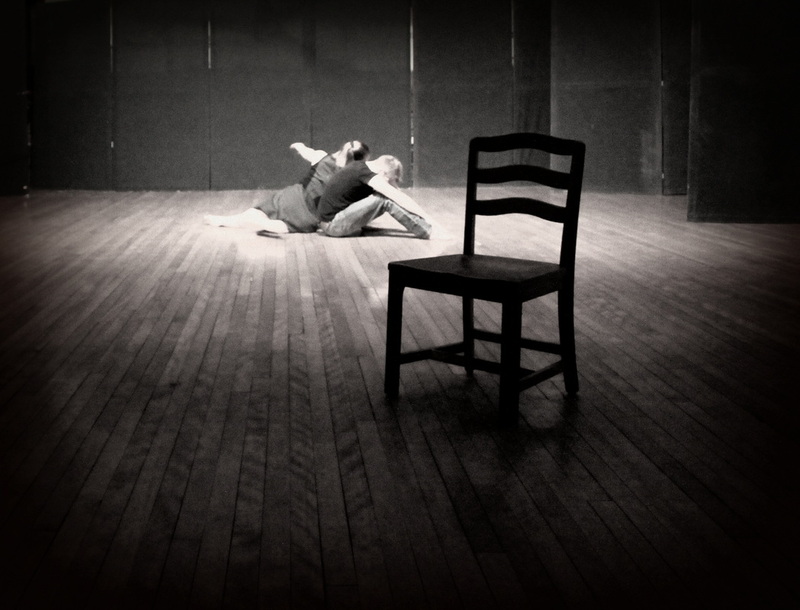 Currently, Jonathan is crafting a new evenings length work with collaborator Georgia Gavran to premier this January (2017) in 'Split The Bill' at Triskelion Arts. We're kicking off our 2018 fundraising for two important ADC financial assistance based programs. Prior to 2016, ADC had an internally funded tuition assistance program designed to help those in financial need that want to learn our art. This year, we are expanding the program, adding an Ensemble Outreach Program and a needs based scholarship program through our 501(c)3, ADC ARTS CORP. Our goal is to double the number of awards this year based on preliminary financial needs and requests for this coming September 2018. But we cannot help students in need without your generosity. Your donation, no matter how large or small, will not only help a local student learn the art of dance, but improve our entire community by promoting the arts to those that may otherwise not be exposed.